When wildlife photographer Paul Bannick of Washington started work on his new book "Owl: A Year in the Lives of North American Owls" about a decade ago, he realized he'd be spending gobs of time in Alaska. 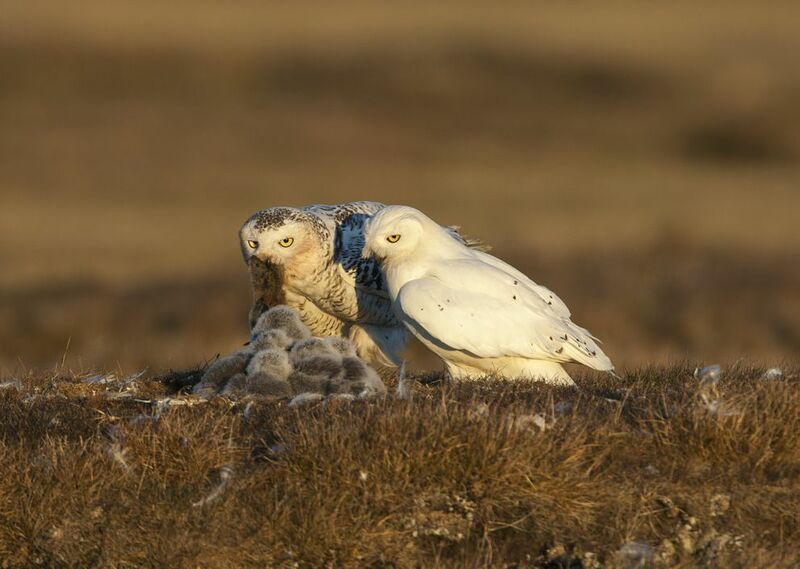 "All the snowy owls that nest in the U.S. nest in Alaska," he said in a phone interview. "They have to nest on Arctic tundra." So Bannick would devote up to eight weeks a year to the 49th state — traveling to the North Slope, the Arctic National Wildlife Refuge, boreal forests. No surprise. Two of the featured owls in Bannick's gorgeous 228-page volume — the magnificent great gray and snowy owls — are both found throughout Alaska. All together, Bannick estimates, some 40 of the 210 photos in his new book were made in Alaska. "I love the owls of the north," he said. "These are the owls living in some of the wildest places on the planet." Despite all the time devoted to the bird he loves, some owl mysteries — particularly involving snowy owls — remain. "Where do they go in the winter?" he asks. "And does it change depending on conditions? "Some males retain their territory year round, but most of the juveniles migrate south. One thing that's clear is that snowy owl success is directly tied to the population of lemmings," their favored food. 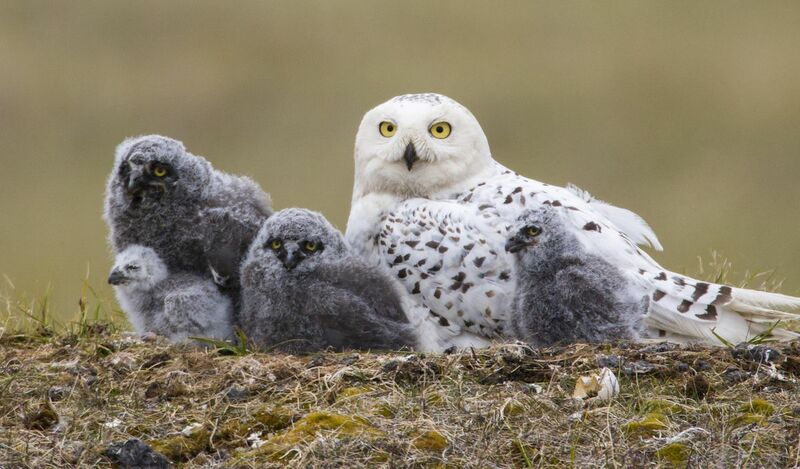 "In a 100-square-mile area during a bad year, you don't have any snowy owl nests." But when lemmings are plentiful, there may be up to a dozen nests in the same area. Clearly, prey availability decides. "In winter," Bannick writes, "owls are often found in unusual concentrations where their common prey is plentiful. Owls of multiple species from the boreal forests, separated by thousands of miles during the summer, may find themselves talon to talon at the southern edges of their winter ranges where trees border farmlands." Bannick may be there to watch. "It's always the call of an owl that would to me symbolize wild places. I love the fact that you have everything from a burrowing owl in the grasslands to a snowy owl in the tundra to a hawk owl in the burned forest or a great gray owl in the mountain meadows. For every wild place I love there's an owl serenading me at night." While rewarding, the work isn't easy. "I want photos that are honest depictions of the natural world, so I do not bait owls, and I do not add or subtract elements from photos," Bannick told Audubon in an interview. "None of my subjects were captive, though a few owls were photographed in the banding process. When in the field, the rule has to be not to change owl behavior and not to endanger the owl." But learning how to find — much less photograph — owls took years of devotion. "They're so secretive and they're active at the darkest time of night. But I've managed to learn about their unique habitats. What in the landscape has to be there? What are owls doing in this season? Learning that and more, I can be more efficient with my time, but it still adds up to tens of thousands of hours." For example, Bannick spent 10 years trying to make a photograph of a young great gray owl leaping out of the nest for the first time. He'd watched a great gray family nest atop a mistletoe mound in an Alaska forest, returning again and again. The deadline for his book was fast approaching, and he knew he had less than two days left to capture the image. Suddenly, everything lined up. As the sun rose, red squirrels in the area were screaming, cawing ravens were flying overhead. And then it happened (pages 120-21 of his book) "after 10 years of waiting" — that first leap by the young great gray. All owls are hard to find, Bannick notes, with the possible exceptions of the great horned, barn and barred and screech owls, which often live in proximity to people. But consider the northern pygmy owl. Grayish-brown and just 6 1/2 inches long, they tend to perch high in trees. "How do you distinguish that from a pinecone?" Bannick asks. "The best way is to understand their life history." Over the years, the way that Bannick works has changed, too. "When people start to get interested in photography, they want to get closer and closer," he told Audubon. "With nests, you need to get further and further away. For a snowy owl in the Arctic tundra, I set up so far away that with my 600 mm lens and 1.4 extender the nest is still less than a quarter of the frame. Even at that distance, if the female owl does not fly back to that nest in two minutes, I pick up my blind and go, and I don't return to that nest. It's not worth impacting the owl's behavior." Bannick's first book "The Owl and the Woodpecker," published in 2008, has become one of the best-selling birding books in North America, according to his publicist. The author thinks he knows why. "Everybody is fascinated with owls," he says. "There's no culture where people are ambivalent about owls. Nobody looks at an owl and walks away without some significant thought about the animal."